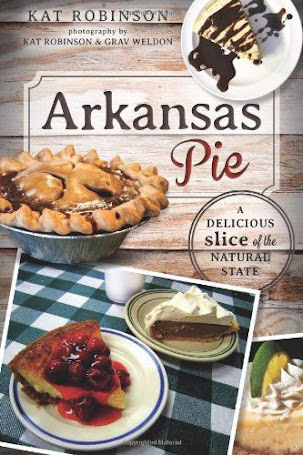 While this year's Arkansas State Fair has some unusual and outright freakish items on its menu (scorpion pizza, anyone? ), the annual October event has been the place to find even odder selections in its past. I started covering the state fair in earnest back in 2008, and I’ve made it my mission to catalogue what’s edible each successive year. Here are the standouts. Fried watermelon. 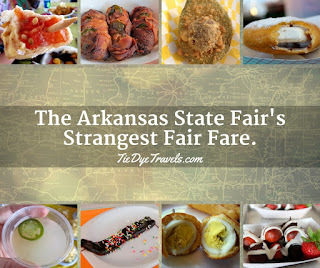 The Minnesota State Fair gets the credit for fried butter, while the State Fair of Texas holds competitions each year to see who can come up with the most unusual and tastiest fried foods amongst its vendors. 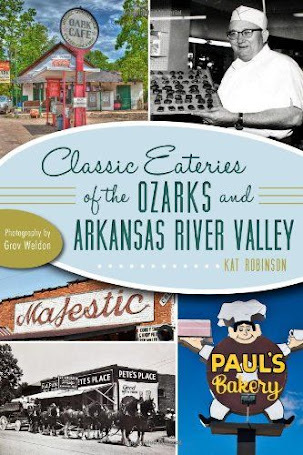 But in Arkansas, we understand our watermelons – and how you need to have the perfect thick slice, frozen but not for too long, dipped in batter, deep fried and served before the watermelon drips. Strange but pleasant and available since 2011. 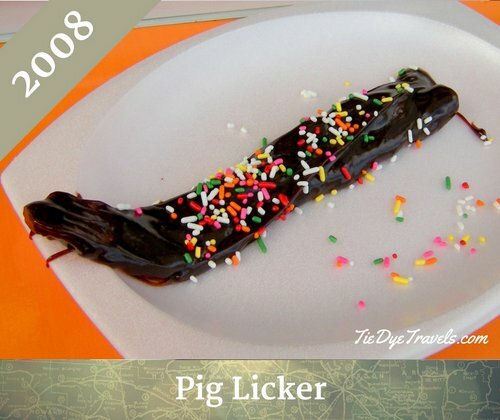 The Pig Licker. Introduced in 2008, these strips of chocolate-covered bacon made the rounds at other state fairs but only really grabbed hold here. It’s offered with or without sprinkles and by the slice or bowl. 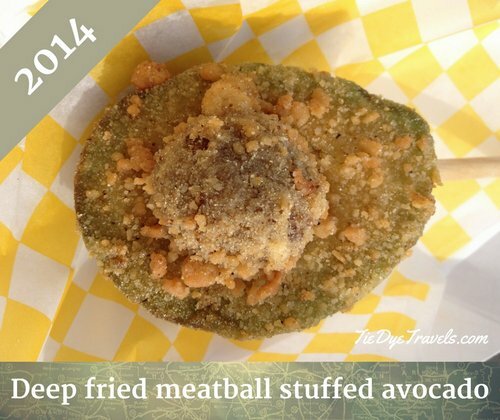 Deep fried meatball stuffed avocado on a stick. Take the smooth green avocado, plant an all-beef meatball in its seed cavity, batter and deep fry it. This unusual combination premiered in 2014. 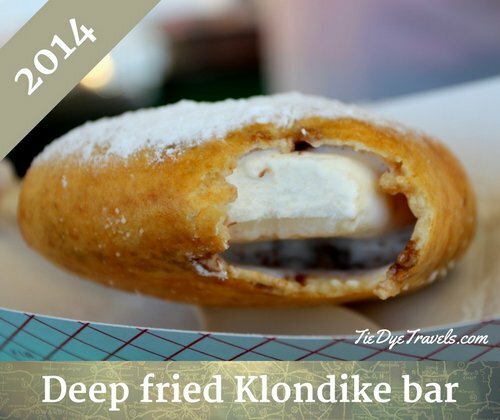 Deep fried Klondike bars. Proving you really can fry anything, this is a Klondike bar frozen at sub-zero temperatures battered and flash-fried just enough for the exterior to be piping hot. This delicacy is only good about three and a half minutes before becoming a sodden soup, but that first cold-fog bite is worth it. 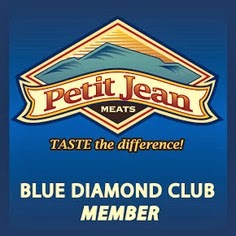 First introduced in 2013. Bacon lemonade and jalapeno lemonade. Just because you can put bacon in anything doesn’t mean you should. 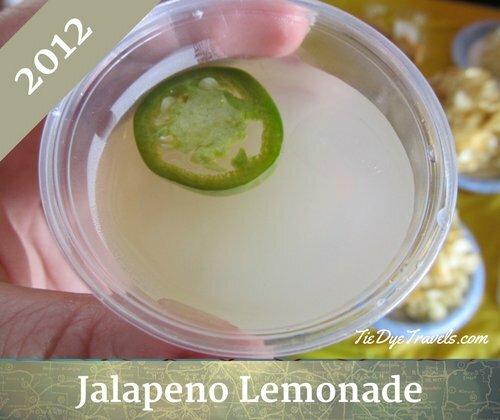 This short-lived creation (along with the similarly created jalapeno lemonade) appeared in 2012 and disappeared just as quickly. It utilized real bacon in its secret recipe. 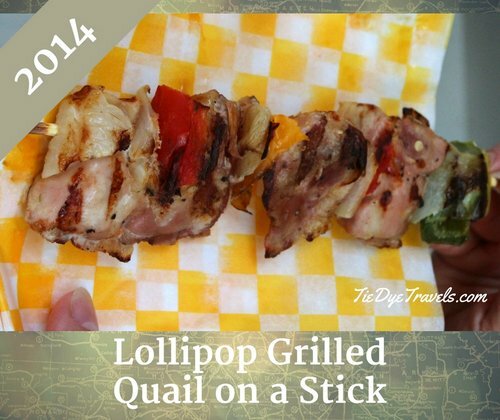 Lollipop grilled quail on a stick. Only available at the 2014 fair, this delightfully healthy entrée paired quail drumsticks with onions, peppers, tomatoes and spices for a good-for-you Midway delight. Bring it back! 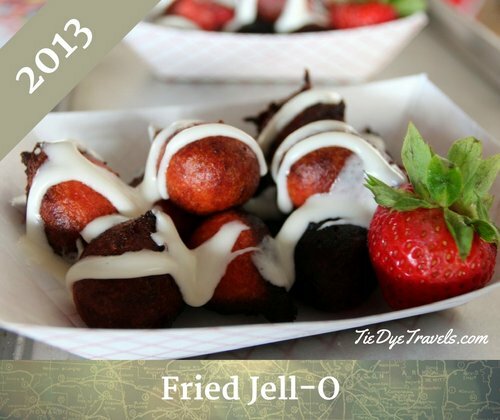 Fried Jell-O. 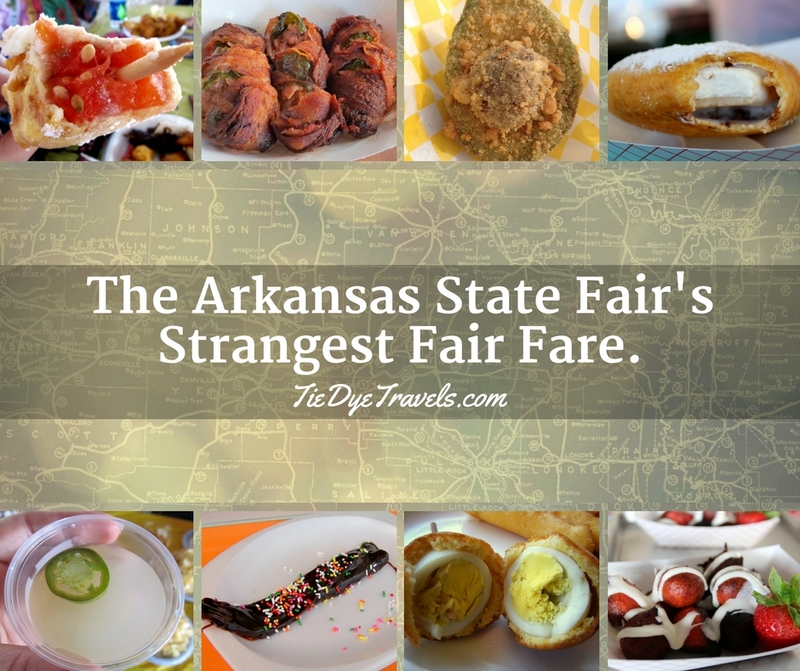 After the State Fair of Texas offered such things as fried hot chocolate, fried margaritas and even fried beer, the 2013 Arkansas State Fair said “hold my ride tickets” and went full tilt. Not as crazy as it sounds, this is Jell-O brand gelatin dessert mixed together with funnel cake batter to create balls of deep fried cherry flavored dough. Armadillo eggs. 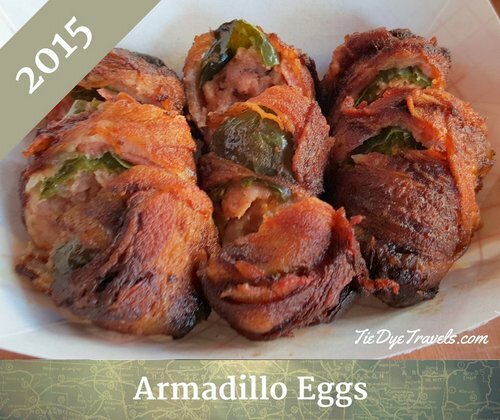 Though I first encountered savory bombs with the same name at Main Street Pizza in El Dorado back in 2007, this version made its first appearance here in Little Rock at the fair in 2015 – grilled bacon-wrapped chicken breasts stuffed with jalapenos. 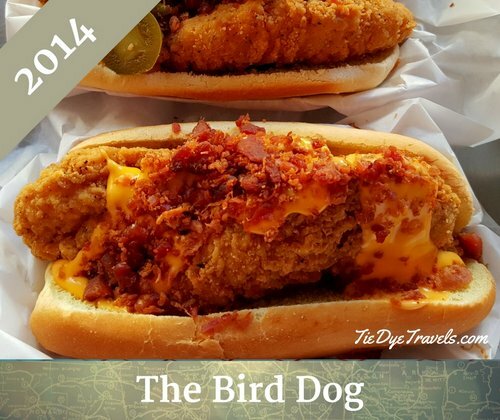 The Bird Dog. Take a hot dog and replace the weiner with a fried chicken breast. 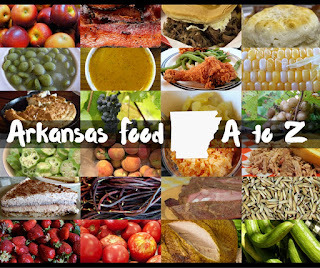 This is the basis for what’s become an Arkansas State Fair staple – topped with a variety of options that include nacho cheese sauce, bacon and jalapeno peppers. Back every year since 2014. The Big Dog. Only found at the 2016 Arkansas State Fair, this was a two foot long Petit Jean hot dog served plain with your choice of mustard, ketchup or onions or full tilt with chili, cheese and slaw. 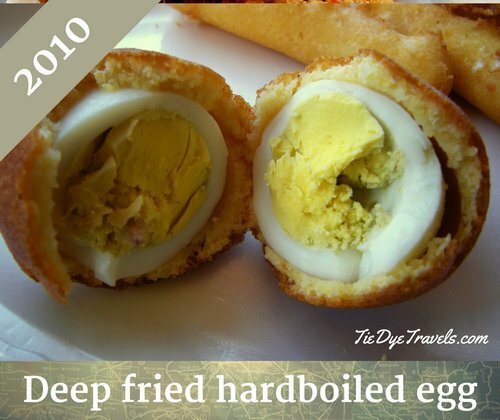 Deep fried hard-boiled eggs. 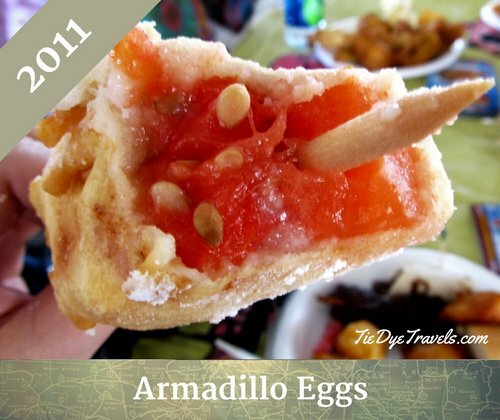 Introduced in 2010, this corndog-meets-Scotch-egg creation hasn’t caught on with other fairs and events, but it certainly provides a unique image. 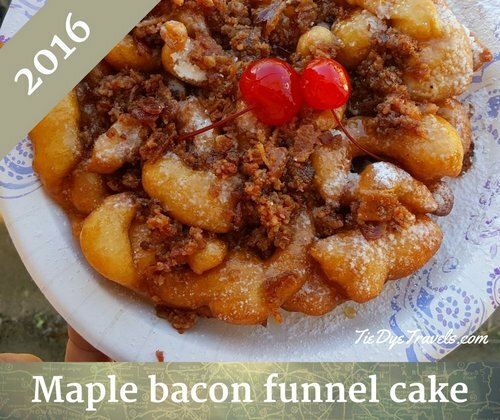 Bacon maple funnel cake. 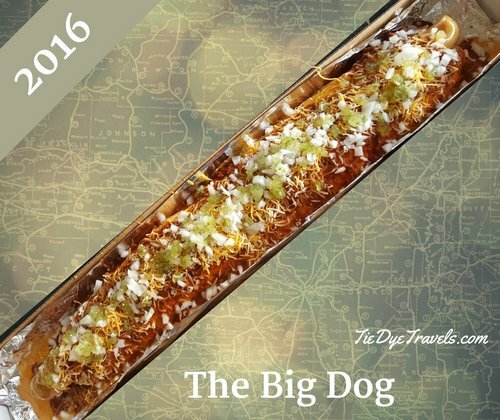 2016's surprise development came with a paired favorite of bacon maple dipped corn dogs - and those who tried the dishes said they weren't weird at all. But they sure look weird. 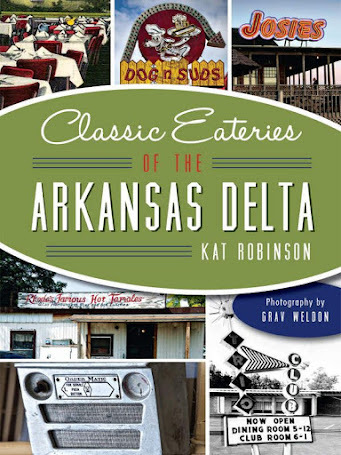 Honorable mention: The Elvis Dog, offered only at the 2014 Arkansas State Fair, was to be a hot dog offered with peanut butter and banana. Problem was, as far as anyone can tell, no one ever ordered this monstrosity – hence the lack of photographic evidence. Have you ever tried a cornbread funnel cake topped with Pinto beans? I thought about it after having something similar at the dearly departed waffle wagon. I think that would be a winner in this state especially.